Mr. William "Bill" Bishop, age 83, passed away Friday, October 6, 2017. He was born in Glass, Tennessee on March 3, 1934 to Henry & Thelma (Keith) Bishop. He served his country in the US Navy and married the former Barbara Bramer on February 7, 1953. 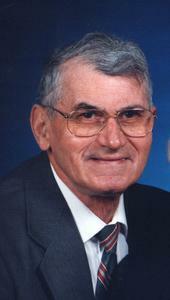 Mr. Bishop had been employed at Westran Corp. for 44 years in Research & Development until retiring in 1996. Bill was a member of St. Mark Lutheran Church, a volunteer at the Red Cross, an usher at church, and a boy scout leader for many years. Mr. Bishop was a hard worker whose biggest virtue was patience. He loved his family & grandchildren, camping and traveling with his wife which allowed them to visit every state. Wife, Barbara; children, Mary Lindstrom, Sherri (Denny) Butler, Larry (Linda) Bishop, Terri (Darrell) Bombei, Gary Bishop; 11 grandchildren; 18 great-grandchildren; brother, Jim (Pat) Bishop. He was preceded in death by brothers, Cliff & Jerry. Thursday, October 12, 2017, 11:00 am with visitation one hour prior at St. Mark Lutheran Church with Rev. Mark Gilson officiating. MEMORIAL: St. Mark Lutheran Church or the Red Cross.